Bad news for fans of the white iPhone 4. After reports that Apple might be thinking of canceling the white iPhone 4, it has now been confirmed that the white iPhone 4 has disappeared from Apple’s online store. That leaves the black iPhone 4 all alone. And no, there isn’t a placeholder for the item. This may be a sign that the white iPhone 4 has in fact been canceled. We’ll keep you posted if we learn more on the matter. The saga of the White iPhone 4 continues. Last night Apple announced that the company would further delay the release of the white iPhone 4 and now some additional information points toward the fact that Apple actually has no plans to roll out a white version of the iPhone 4. The “delay” might actually suggest an iPhone 5 release time-frame of June or July 2011. Of course, no one knows for sure. I guess there’s always Colorware standing by to spruce up your device. 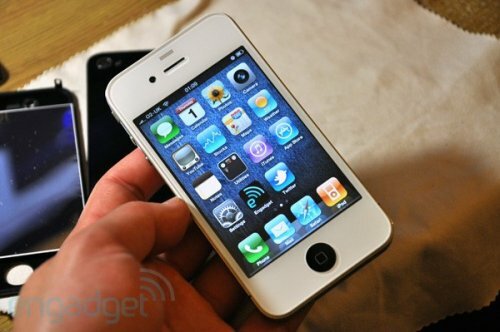 White iPhone 4 with antenna design update? Remember that white colored iPhone 4 that showed up in NY? Well, it could have been an invisible shield casing since the image above shows a black line which could be the black antenna bar that has been cut into the metal, moved or included in the middle right above the micro SIM slot to help with the poor reception issues. This photo could be the new location for the antenna break-out so that the “death grip” problems will go away. 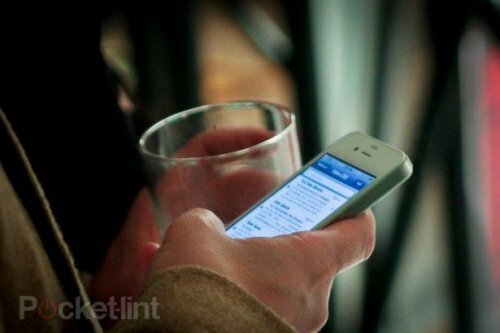 The guys over at Pocket-Lint caught a glimpse of a white iPhone 4 which was being used by a mysterious man. They approached the owner and asked how he got his hands on the white iPhone 4 since no one else has managed to do so. He mentioned that Apple’s HQ in Cupertino has plenty of white iPhones, so he had a friend “fix him up” with the model. We had heard that Apple isn’t too happy with their suppliers when it comes to matching the white color of the phone’s parts, so it will be a while before this issue gets sorted out. 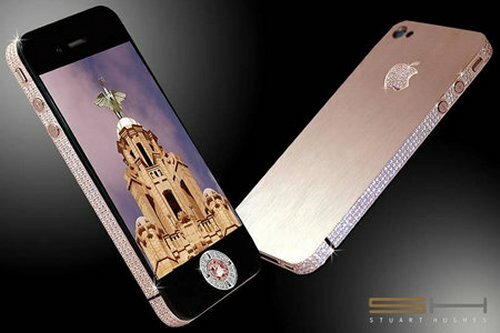 Exclusively made by Stuart Hughes, the iPhone 4 Diamond Rose Edition has a price tag of £5 million ($8,020,000). It was made for Tony Sage, renowned in the gold mining industry and also the sole owner of Perth’s A-league soccer team. An important man like that needs an important phone apparently. The price reflects more diamonds and other precious stones and metals added. The iPhone 4 Diamond Rose Edition features a rose gold bezel caked with 500 diamonds (100 ct) on front and 53 diamonds on the apple logo on the rear. 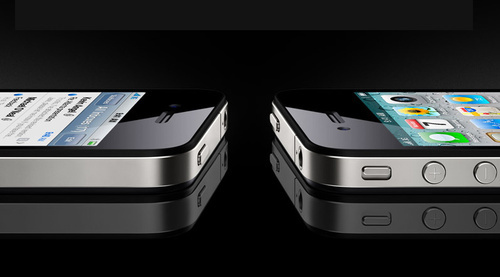 Some stats have been released that indicate that the the iPhone 4 is more prone to cracks than its predecessor, the 3GS. On one hand this is expected since the iPhone 4 has double the glass panes. There are simply more places for it to crack. 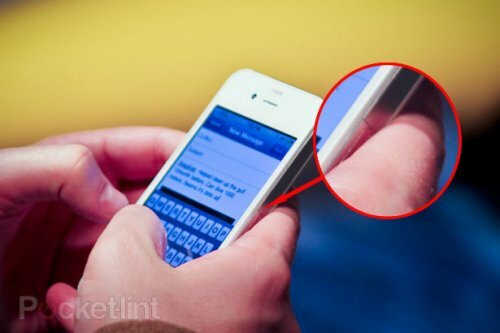 According to SquareTrade, 3.9 percent of all iPhone 4 owners reported a cracked screen within the first four months. In contrast the iPhone 3GS only reached 2.1 percent. 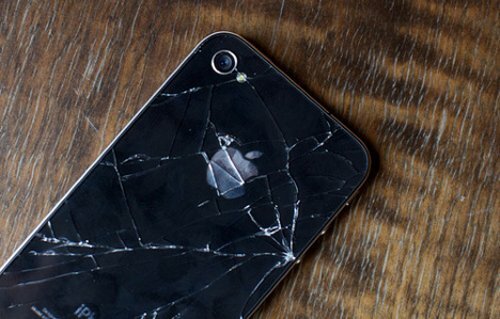 In fact, 82 percent of all iPhone 4 accidents involve shattering glass panes, compared to 76 percent on a previous iPhone. Is this the new Verizon iPhone 4? 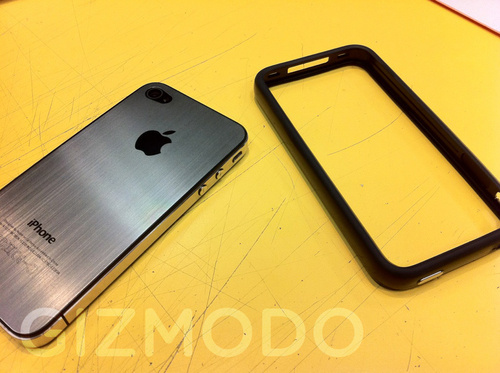 Gizmodo received the image above from a source who claims that it is the iPhone 4 for Verizon. Whether it is real or not, it looks damn good. There have been credible reports of Apple engineering being aware of back glass problems that make the iPhone 4 design too fragile. So an aluminum back makes a lot of sense. There’s just no way to know if it is real or not just yet. We never have enough battery life. That’s just a fact of life. 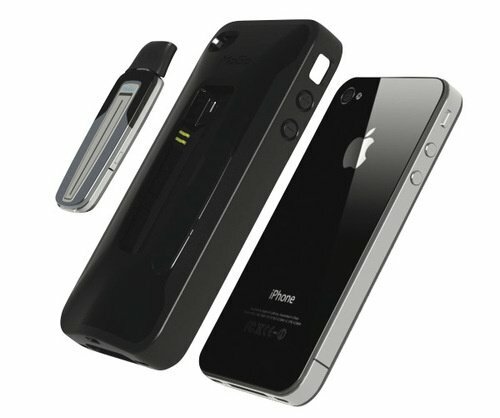 So Energizer’s new AP1201 case for the iPhone 4 is a welcome addition to the Apple gadget family. As iPhone cases go, it actually looks pretty stylish and non-offensive. 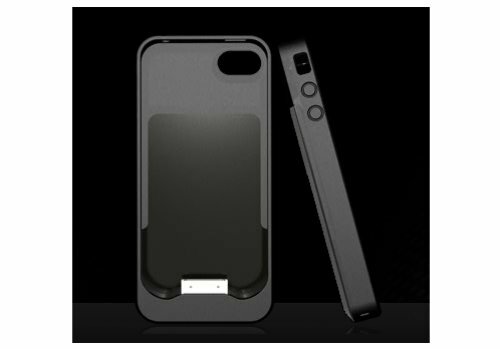 It’s a slim, protective case of silicone rubber that charges your phone while it’s wearing it. There are two charging options, a high speed charging mode which charges the phone first, then the case. While the other option provides simultaneous pass-through charging. Verizon has announced that they are launching a special iPhone just for Verizon customers. You can expect this version of the iPhone to be out sometime in the beginning of 2011 with mass production of this device beginning by the end of 2010. No word yet on what kind of Verizon friendly features it may have, if any, but the Wall Street Journal says that it would be based on an alternative wireless technology used by Verizon. We just want to know what the price is going to be like with a contract. If they beat AT&T’s offers, things could get competitive. 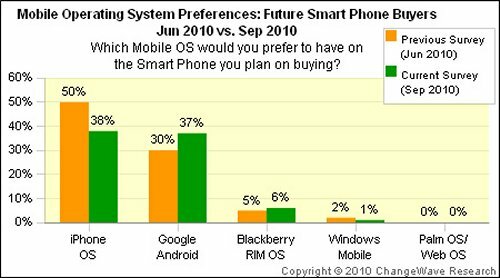 About as many smartphone buyers want an Android device as want iPhones. At least according to the latest ChangeWave metric. Consumer’s plans to get an iPhone have cooled off after the iPhone 4 high in June, which is only to be expected. In September about 38 percent wanted Apple’s handset, that’s down from half three months earlier. Android interest at the same time has spiked and now has almost as much interest at 37 percent, which is an all-time high for Google. With just a fraction of interest, the launch of the BlackBerry Torch barely had an effect. RIM only moved one point to six percent. 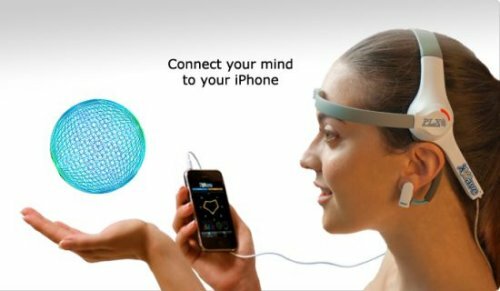 If only you could command your iPhone with your thoughts? Maybe you can after all. That’s the idea behind the XWave, a headset that turns your brain’s electrical activity into signals that can control your phone. Details are scarce, but it is basically an interpreter, a middle man if you will, that allows your head and your iPhone to communicate. The XWave has a pad that rests on your forehead, picking up the tiny electrical signals that change along with your changing thoughts. The headset comes bundled with some apps that let you control your music library etc, and PLX is seeking out developers to create new apps for the headset as well. 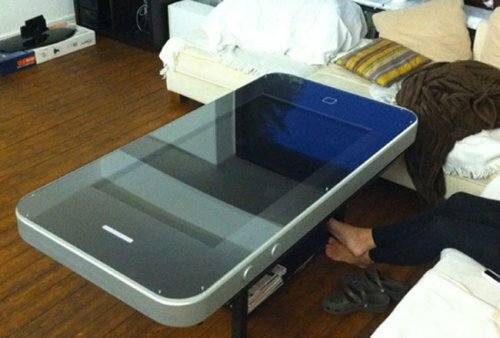 We’ve seen our share of coffee tables here at the ‘Brick, but this is the first giant iPhone 4 table we’ve seen. We don’t have many details, but obviously it lacks flash. We do know that it’s a one of a kind custom piece, so you wont be able to get one unless you make it yourself. Then you too can kick off your crocs and put your bare feet beneath it, hopefully with no signal loss. The Mogo Talk Bluetooth headset/case just got updated for iPhone 4. It will protect your precious iPhone while at the same time offer a wireless communications device. Some other features include a microUSB connector and a built-in battery pack. The interior is lined with felt to better protect your iPhone 4 and don’t worry, you still have access to all controls. This is basically just an updated version of the old device, with a price cut, down to $100 from $130. 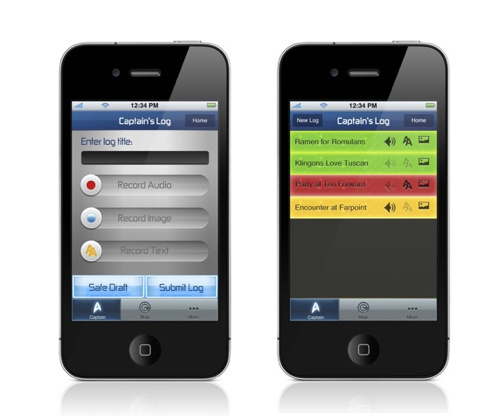 The Captain’s Log app allows Star Trek fans to ditch the iPhone’s vanilla Notes and Voice Memos in favor of a Starfleet-themed communicator, allowing for sound and text capture, and the ability to map GPS coordinates. This is very useful when headed to your local grocery store. Stardate 2010…I ran out of toilet paper and had to use a spare starfleet shirt…Will also pick up some Romulan ale and hit on some babes… You can also browse a 3D rendering of the Starship Enterprise before taking on a command rank, when you will be able to share logs with fellow captains using social networks.